This is one of the oldest shops in Barcelona. 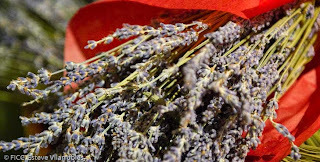 Opened in 1818 and moved to nº1 of Vidre street in 1823, it was the first Herbal shop in Barcelona and probably in Catalonia. This place has historical and artistic value. The present decoration dates from 1857, when Isabella II of Spain granted the title of "Supplier of the Royal Family", and it was entrusted it to Francesc Soler i Rovirosa, an acquaintance set designer of theatre who decorated it to the isabelin style. In the center of the shop there is a fountain of carrara marble, in honor of the Swedish naturalist Carl Von Linné, that was used for preserving leeches. The roof is of glass, there is also a gallery with oil paintings, and there are watercolors in the drawers of the cabinets that surround the store. The shop was partially restored in 1997, and it is one of the jewels that was recovered of the patrimony of the city. 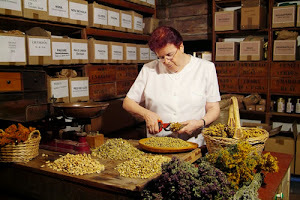 Trinidad Sabatés is the shop owner, she was honored as a master on Medicinal plants by Generalitat de Catalunya.